We're already planning for BUCK 2013, but we're going to need lots of people to help out. Visit http://ukofequestria.co.uk/threads/staff-wanted-thread.4718/ to see a list of positions and the email address to apply to (no need to sign up). Good Luck Everypony! The costs for producing a good documentary really are astronomical, and the more they film, the more they have to edit. Add in flights, hotels and equipment and it all adds up. There is still time for donations, and a new target to reach! ( BronyCon: The Documentary by Michael Brockhoff - Kickstarter ) This is a call from the Documentary staff to the UK and European bronies to show their support for the show, the documentary and to their own conventions; and to add in their part to making this happen. Reaching this target is a sign to Mike and John, (and I guess in a way, also to Hasbro) that the fanbase here is strong, committed, and is worth taking seriously. 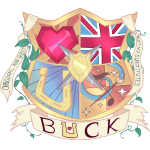 We sure hope that the UK bronies can dig deep and support this worthy project. Hey everyone, Just wanted to tell you guys about the Brony UK Convention held in Manchester this year. It will be on the 18th and 19th August 2012 at the Bridgewater Hall. It's really easy to get to: just a stone's throw from Central station. It's a 2 day party with fun, games and music... and cupcakes! (Pinkie insisted) Check out the website at http://bronyuk.org for details.